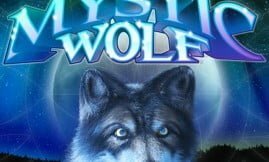 Shields of the Wild is a medieval themed medium to high variance video slot from NextGen Gaming that features 10 paylines, 5 reels and pays a top jackpot of 2,500x stake on a single spin. The slots’ theme unfolds as Sir Virilis Manblade’s army alongside his trusted ally (King Trenin DeSaxe) takes on their sworn enemy on the Fields of Elysium. Bets can be made from £0.10 up to £100 per spin on mobile phones (Androids, iPads, tablets) or PC desktops. 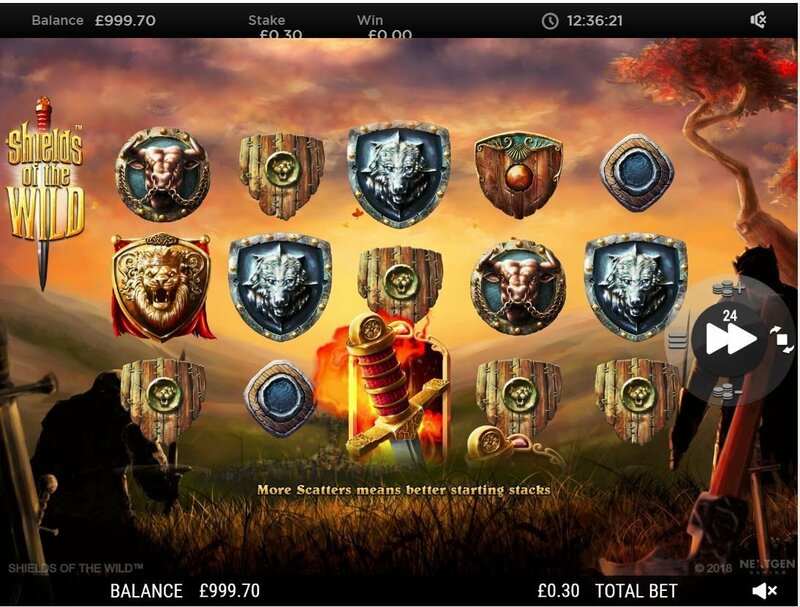 The most important feature of the game is the ‘Marching Stacks Free Spins‘ with its sword upgrade symbol; the net result is you can end up with 5 reels of stacked symbols. The other bonus round worth mentioning is the Shield Wall where symbols are upgraded to higher value symbols. Symbols on the reels compliment the theme well, you’ll see 8 different shields with crests, sword handle (scatter) and the wild. When symbols are upgraded to higher value symbols you’ll win 8x your stake. The RTP of Shields of the Wild is 96.53% or an edge to the house of 3.47%. The visuals of the game is top-notch. The Shields of the Wild bonus is triggered randomly on each spin during the main game, furthermore there’s a Shield Wall feature attached to it. What happens here is that the wild substitutes adjacent symbols aside from the scatter offering a symbol upgrade of up to eight times. The free spins bonus is played when 3 or more sword handle scatters appear, on the fifth reel a stack of symbols are grouped into 5 symbols. However, it also depends on how many scatters pitch. If you’re lucky enough to trigger the free spins with 5 scatters the five highest value symbols will grace the reels (lion shield excluded). When an upgrade symbol pops up with a free spin it’s upgraded to a higher value symbol. On reels 4 and 5 stacked symbols boost payline wins, this continues until all 5 reels are laced with stacked symbols. More free spins are gained if you get 2 upgrade sword symbols plus 2 symbol upgrades. 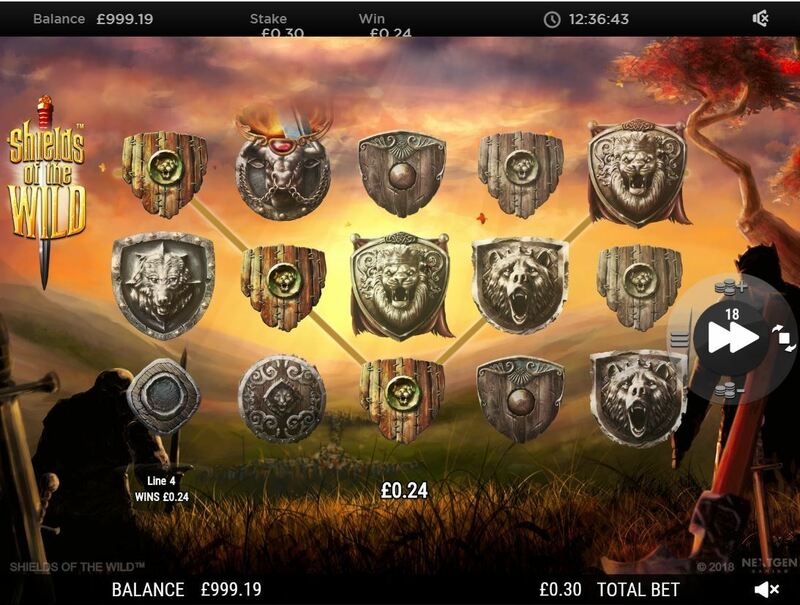 The key during the free spins is to have a full screen of lion shields which offers a win of 100x your stake. 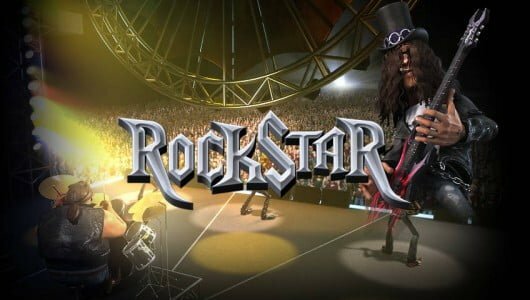 Upon conclusion of the free spins you can get a free re-trigger which prompts the feature to re-start. 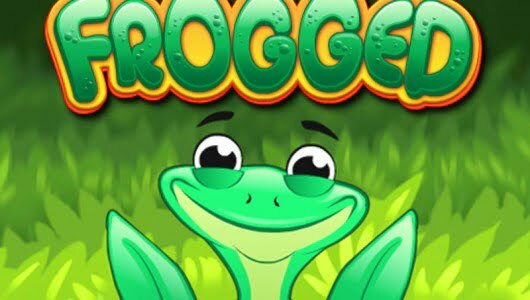 The top cash prize up for grabs during the free spins is 2,500x your stake. 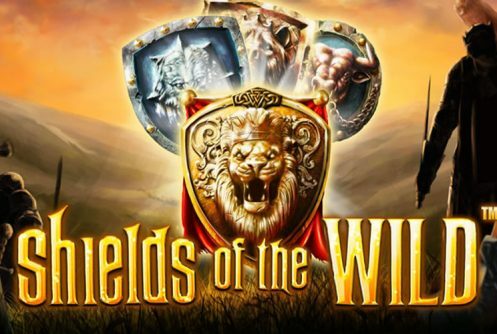 With a beautiful setting, engaging bonus rounds (free spins with stacks of high paying symbols) and the potential for decent wins (30x your stake), Shield of the Wild is another solid addition to the NextGen Gaming slots portfolio. The volatility is high so caution is advised to keep your bets within the ambit of your bankroll. 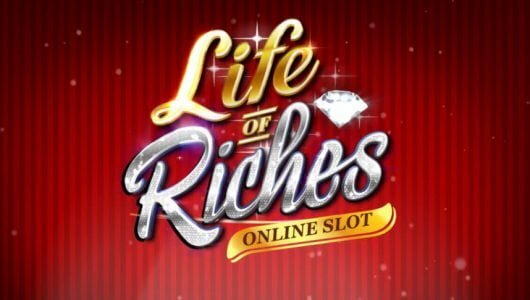 If you’re looking for a slots from the same vendor with more free spins (unlimited) we reccomend La Bomba (https://casinowhizz.com/slots/la-bomba-slot-review/). How does the Upgrade Symbol feature work? When the sword handle (one with the blue background) appears during the Marching Stacks free spins it upgrades stacked symbols to higher value ones. What should my average bet per spin be? If you have a bankroll of £100 or more we suggest you play it at £1 per spin or 100 spins. We believe this to be ample enough to trigger the game’s main bonus mode the ‘Matching Stacks’ free spins.